Q) Who do you call a Muslim? Q) What is the name of your religion? Q) What is the message of Islam (Kalima)? Q) What is the meaning of this Kalima? A) Allah created humans, the sun, moon and every single creation. Q) What do you call someone who does not believe in Allah? Q) What do you call someone who associates someone equal to or partner with Allah? Q) What is wrong in being a Kafir or Mushrik? A) Allah will always be unhappy with a Kafir or Mushrik and after death they will remain in the fire or hell forever. Q) Will Kafirs or Mushriks never go to paradise? A) No, never, they will remain in hell for eternity. Q) Who is Muhammad Sallallhu Alaihe Wasallam? Q) Where was our Prophet born? Q) What is the name of the Holy Prophet's father? Q) What is the name of our Holy Prophet's mother? Q) What is the names of our Holy Prophet 's grandparents? A) Our Holy Prophet's grandfather's name was Abdul Muttallib and his grandmother's name (Maternal) was Wahub. Q) How many years did our Holy Prophet stay alive? A) After our Holy Prophet passes away, by the power of Allah he is still alive in his holy shrine. His presence in the world was 63 and 10 years In Madinah. Q) On what date did our Holy Prophet pass away? Q) Where is our Holy Prophet's Holy Shrine? A) It is in Madina Sharif , Which is approximately 300 km away from Makkah Sharif. 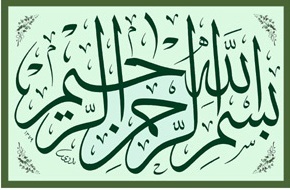 Q) How is it known that Muhammad Sallallhu Alaihe Wasallam is the Prophet of Allah Ta'ala? A) It is proven by the fact that, our Holy Prophet called people towards Islam, he performed many miracles and he gave such knowledge of the unseen (llm-e-ghaib) which can only be given by none other than a Prophet of Allah. Q) What do you call a person who does not believe in Muhammad Sallallhu Alaihe Wasallam as a Prophet? Q) What if someone believes in Allah Ta'ala but does not believe in the Holy Prophet Muhammad Sallallhu Alaihe Wasallam? A) The person is also a Kafir. Q) What is the reason for believing in the Holy Prophet? A) The reason for believing in him is that he is a true Prophet sent by Allah Ta'ala believe in this, believe in every word of our Holy Prophet, love him and never disrespect or speak or think badly about him. Q) What is the Holy Quran? A) The Holy Quran is the book of Allah. Q) How do we know that the Holy Quran is Allah's book? A) There has never been a book that someone could create which was anything like the Holy Quran this then proves that the Holy Quran is the book of Allah. If the Holy Quran had been written and created by someone other than Allah then it would have been easy to create something similar, which of course has not been possible. Q) Who was the Holy Quran revealed to? A) It was revealed to our Holy Prophet, MUHAMMAD Sallallaho Alaihe 'Wasallam. Q) Was the Holy Quran Revealed all at once, or in parts? A) It was revealed bit by bit according to the need of the people. Q) Over how long a period was the Holy Quran Revealed? A) It was Revealed over 23 years. Q) How was the Holy Quran Revealed? A) Hazrat Jibraeel Alaiyhissallaam revealed, chapter and versed to our Holy Prophet, by the grace of almighty Allah. Our Holy Prophet memorized these passages and repeated them to the people. These people then memorized these passages and wrote then down. Q) What is preached in the Holy Quran? A) Everything is in the Holy Quran, i.e. regarding everything in all walks of life and the hereafter. Q) Why was the Holy Quran Revealed? A) To show people the right way in life. So people can recognise Allah almighty and his Holy Prophet and so that they can live life in a pure way. Q) Who is Hazrat Jibraeel Alaiyhissalaam? A) He is an angel who brought messages (wahi) from Allah Almighty to the Prophets. Q) Why are human created? A) They are created to worship Almighty Allah. Q) How do Muslims worship Allah? 2) They fast during the month of Ramadan. 3) Rich Muslim offer Zakat (charity) Muslim. Q) What is the best from of worshop? A) Namaz (Salat) is the best form of worship. Q) What is Namaz (Salat)? A) Namaz (Salat) is a form of worshiping Allah Almighty which is performed a certain way. A person praying Namaz, stands facing Qibla (Holy Ka'aba) they recite verses from the Holy Quran and bow down before Allah. They praise Allah, and they pray Durood (blessings) for our Holy Prophet. Q) How many times a day do we pray Namaz? A) Namaz is prayed five times a day. Q) What are the names for these five Namaz? A) Fajr, Zohr, Asr, Maghrib and Isha. Q) When is the Fajr Namaz preyed? Q) When Zohr Namaz prayed? A) Zohr Namaz is prayed from after midday until the beginning time of Asr Namaz. Q) When is Asr Namaz prayed? A) Asr Namaz is prayed from late-afternoon until sunset. Q) When is Maghrib Namaz prayed? A) Maghrib Namaz is prayed from sunset, upto a maximum of One and Quarter hours. Q) When is Isha Namaz prayed? A) Isha Namaz is prayed after Maghrib time has lapsed upto the beginning of Fajr time. Q) What is the process called when one washes their hands, face, feet and pass water over their hair? Q) How is Wuzu performed? I) Pray Bismillah then perform Miswak (a five inch wooden stick) by rubbing over your teeth if this is not available then use your index finger. iii) Then perform a gargle by washing your mouth out three times (using your right hand). iv) Then pass water into your nose with your left hand little finger in right nostril and left hand thumb in left nostril, this is done three times. v) Wash your face thoroughly by gathering water in both your palms (form a cup) and start at top of your forehead where hair has the bottom of our chin, this is also done three times. vi) Wash your right arm up to and including your elbow, and ensure water passes through your fingers and pass your arms and not the other way round. Perform three times and do same to your left arm three times. vii) Perform masah (wiping) by wetting your fingers on both hands and then using three fingers (small, next and middle) on the both hands rub over your hair from forehead to back of neck. Use your index finger in each hand to clean your ears (right finger to clean right ear and left finger to clean the left ear). Use your thumbs to clean back of your ears. Clean each side of your neck by passing the back of your hand over it. This Masah is only done ONCE. ix) Wash you feet upto and including the ankles making sure that water passes every gap between your toes. Perform this three times with right and then left. x) Look up to the sky and pray ASHHADUAN LA'ILA HA ILLALLAHO MUHAMMAD-DUR'RASOOLULLAH and the lnna Anzalna surat . Q) What is the purpose of Wuzu? A) The purpose of Wuzu is to ensure that you clean all parts mentioned, and it is important that you get plenty of water over the parts that you are washing. Q) If a part of your body, that you are washing whilst doing Wuzu gets wet, but water does not drip from that, then does that Wuzu count? A) No, if this happens Wuzu will not count. As well as wetting certain parts of your body (which have been mentioned) water must drip from those parts. Q) At the time of Namaz, a man stands and calls people to prayer, what is this called? A) This called the Azaan. Q) What is the method of praying the Azaan? A) Azaan is performed in the following manner after performing ablution (Wuzu). The person praying Azaan stands in a high place facing the Qibla putting both index fingers in the ears (right ear, left index finger in left ear) and praying in a loud and clear voice. Q) What is the dua prayed after hearing the Azaan? A) ALLAHUMMA RABBA HAA'ZIHID DA'WATT'IT TAA'MATEH WA SALAATIL QAA'IMAH TIH AATE SAYYEDINA MUHAMMADNIL WASEELATA WALFAZEELATH WADARAJATR RAFEEATAH WAB'AS HO MAKAAMU M M AHMOODA'NILAZIH WA'ATTAHO WARZUKNA SHAFA'ATAHO YAWMAL QIYAAMAT'E INNAKA LATUKHLIFUL MI'AAD. Q) A short while after Azaan, people pray something else in loud voice, what is this called? A) This is called Tasweeb and Salat. Q) What are the words prayed for Tasweeb and Salat? A) There are no specific words which have been Islamic law. One can pray any words which are appropriate. These days the Durood Sharif is used quite commonly. Q) Before the Namaz commences, one man stands in the first row and prays something in loud voice. What is this called? A) The words of Takbeer are exactly the same as the words used in Azaan. There is only on slight difference and that is after HAAYAA ALAL FALAAH the words QUDQAAMATIS SALAAT are prayed twice in addition. Q) When listening to the Takbeer should a person be sat down or stood up? A) Takbeer should be listened to whilst sitting down, but when the person praying HAYYA ALAL FALAAH, then everyone should stand. Q) What do you call a parson who prays the Azaan? A) He is called a Mu'azzin. Q) What do you call a person who prays the Takbeer? A) He is called the Mukabbir. Q) What do you call someone who prays Namaz on their own? Q) When everyone prays Namaz together what is this called? A) When people who pray Namaz together this is called Jamaat. Q) What do you call the person who leads the Namaz? A) The person who leads the Namaz is called an Imam. Q) What is the name given to those who pray behind the Imam? A) They are called Muqtadee. Q) What is the name given to the position when you stand up from Rukooh? A) It is called Quwmah. Q) What is the name given to the sitting position when you come out from sijdah? A) The sitting position in between the Sijdahs is called jalsa and the sitting position when praying Attahiyat is called Qaida. Q) Should Bismillah be prayed before Attahiyat? Q) Should the Muktadee pray Ta'awwuz and Tasmeeh when he is praying behind the Imam? A) The Muktadeeh should only pray Sanah, when he is hehind the Imam and then remain silent. He should not pray Ta'awwuz or Tasmeeh; neither should he pray Surah Fatiha or any other Surat. Q) Should the Muktadeeh pray 'Sami Allaho liman hamidah' when rising from Rukooh? A) No, but he should pray Rabbana lakal hamd' after rising from Rukooh. Q) After Namaz, what do people pray whilst counting on their fingers? A) They pray, Subhanallah 33 times, Allhamdolillah 33 times and Allaho Akbar 34 times. There is a lot of sawab (reward) for praying this.